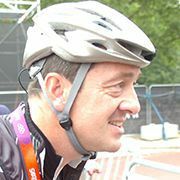 The now retired racing cyclist Christopher Boardman is one of Britain’s most celebrated riders. 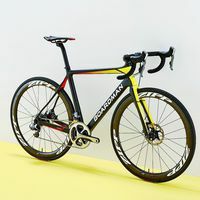 Boardman took the world hour record three times in his career, as well as winning Olympic gold in the Track Pursuit and several stages of the Tour de France. Boardman was born in Merseyside in August 1968, riding in his first bike race at the age of 13 and making the national cycling team at 16. Boardman’s specialism was the time trial, in which he won numerous victories. Between 1988 and 1991 he won four consecutive British National Hill Climb Championships. In 1993 he broke the 25-mile record, an achievement that wasn’t bettered until 2009. Turning professional in the same year with the GAN team, he won his very first pro race at the Grand Prix Eddy Merckx. Boardman had mixed success on the sports grandest stage, wearing the Yellow jumper in the Tour de France three times, but never fulfilled media expectations that he could take the overall title. 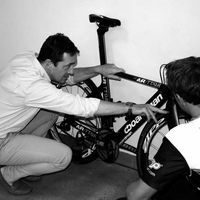 Boardman greatest achievements came in international competition. He won the inaugural Time Trial at the Road World Championship in 1994 as well as two individual Pursuit golds at the Track Cycling World Championships in 1994 and 1996. He has three Commonwealth Games bronze medals, won in both the Team Pursuit and the Time Trial. Olympic gold in the Team Pursuit in 1992 stands out as Boardman’s greatest achievement, while he also secured a bronze in Time Trial in Atlanta fours years later. 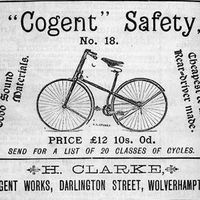 The end of Boardman’s career was sadly hastened by an early diagnosis of osteoporosis. He was appointed an MBE for services to his sport in 1992. Innovationen aus der Vergangenheit haben heutige Bikes zu dem gemacht was sie sind. Wir stellen euch die wohl wichtigsten Entwicklungen vor.